Upright Steel Shelving Unit for 17” x 11” Binders - GS Direct, Inc.
Now you can organize your 17" x 11" three ring binders in a sturdy four shelf unit that has been made exactly for that purpose! All the components in this file are made of heavy duty steel that will last a lifetime. 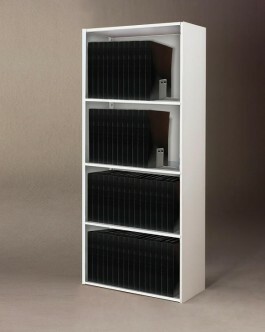 The unit comes with four shelves that are 15" deep so that there is plenty of room to organize and store your binders. 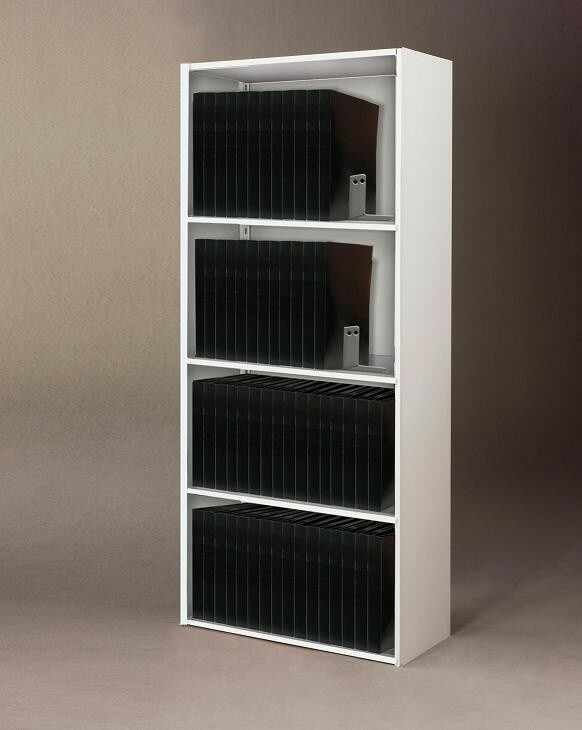 You can add on to these files by purchasing additional add-on four shelf units when needed. Also available are optional magnetic file dividers that will keep you binders standing upright when the selves are partially full. Overall dimension of one unit is 36"w x 86"h x 15"d.
250 lb per shelf weight capacity.